The response of Acropora digitifera to ocean acidification is determined using geochemical proxy measurements of the skeletal composition of A. digitifera cultured under a range of pH levels. 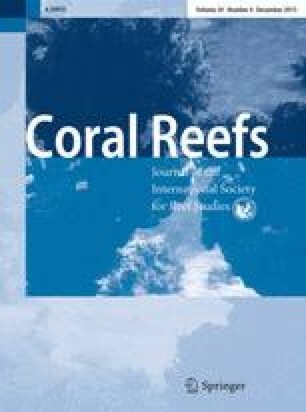 We show that the chemical composition (δ11B, Sr/Ca, Mg/Ca, and Ba/Ca) of the coral skeletons can provide quantitative constraints on the effects of seawater pH on the pH in the calcification fluid (pHCF) and the mechanisms controlling the incorporation of trace elements into coral aragonite. With the decline of seawater pH, the skeletal δ11B value decreased, while the Sr/Ca ratio showed an increasing trend. The relationship between Mg/Ca and Ba/Ca versus seawater pH was not significant. Inter-colony variation of δ11B was insignificant, although inter-colony variation was observed for Ba/Ca. The decreasing trend of pHCF calculated from δ11B was from ~8.5, 8.4, and 8.3 for seawater pH of ~8.1, 7.8, and 7.4, respectively. Model calculations based on Sr/Ca and pHCF suggest that upregulation of pHCF occurs via exchange of H+ with Ca2+ with kinetic effects (Rayleigh fractionation), reducing Sr/Ca relative to inorganic deposition of aragonite from seawater. We show that it is possible to constrain the overall carbonate chemistry of the calcifying fluid with estimates of the carbonate saturation of the calcifying fluid (Ω CF) being derived from skeletal Sr/Ca and pHCF (from δ11B). These estimates suggest that the aragonite saturation state of the calcifying fluid Ω CF is elevated by a factor of 5–10 relative to ambient seawater under all treatment conditions. The online version of this article (doi: 10.1007/s00338-015-1319-6) contains supplementary material, which is available to authorized users. We thank H. Osieriski for support of geochemical analyses. We also thank to J. Zinke, K. Shirai, M. Hori, and two anonymous reviewers for fruitful comments. 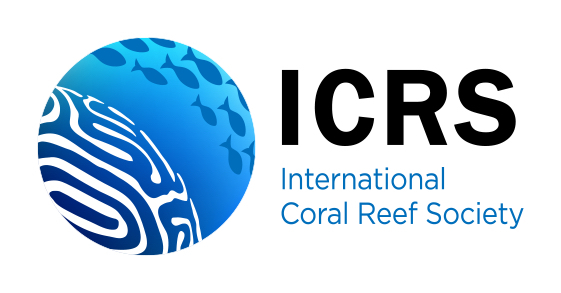 We also thank International Research Hub Project for Climate Change, Coral Reef/Island Dynamics (the University of the Ryukyus), and Strategic Young Researcher Overseas Visits Program for Accelerating Brain Circulation (G2301), and the Australian Research Council (ARC) Centre of Excellence for Coral Reef Studies. M. McCulloch and M. Holcomb were also supported by ARC Laureate Fellowship and Super Science funding, respectively.